Posted byLance Wiggs	 September 11, 2017 2 Comments on Could Auckland attract or retain the next Amazon? I had idly thought that Amazon’s RFP for a second headquarters location could be answered by Auckland. Sadly, albeit unsurprisingly, the request is for a North American location. Amazon is careful to show that they will create value well beyond that of the company’s investment in capital and salaries. Later on the expectation is that the winner will pay some of that benefit to Amazon. So while we are not in North America, its worth considering the RFP to see what sort of factors (“key preferences and decision drivers) a smart company like Amazon finds attractive, and whether or not Auckland is able to deliver. We should aim to be a city and country where we can host local or offshore companies that are as successful as Amazon. We can definitely tick those boxes here in Auckland, and I’d far rather live here than in any of the mooted locations in the US or Canada. Amazon are looking for existing buildings, a greenfield site ready to go, or a combination. A greenfield site would need to be 100 acres. 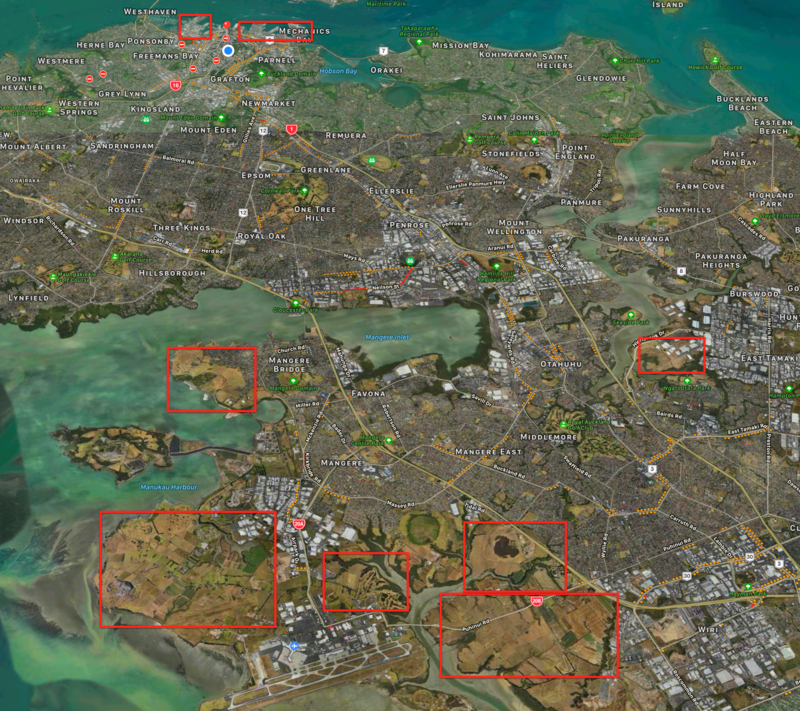 Wynyard Quarter in Auckland, for comparison, is 86 acres, not too dissimilar from the required size. It is in the middle of a transformation to mixed offices and residential, with most of the industrial operations being moved out. While Amazon are happy with a site within 30 minutes of downtown, there is at least one other site nearby that could be interesting, as highlighted below. While fans of ports and golf courses would not agree, it’s worthwhile comparing, if academically only, the value created by each versus that touted by Amazon. There is also the city itself – with a lot more densification possible downtown by building several courageously large towers. Amazon’s location does not have to be downtown – merely within 30 minutes of the city and 45 minutes to the airport. But they also want their own train station, as well as access to other forms of public transport. As it happens the port location would probably best deliver on access to mass transit, showing the value of that space. 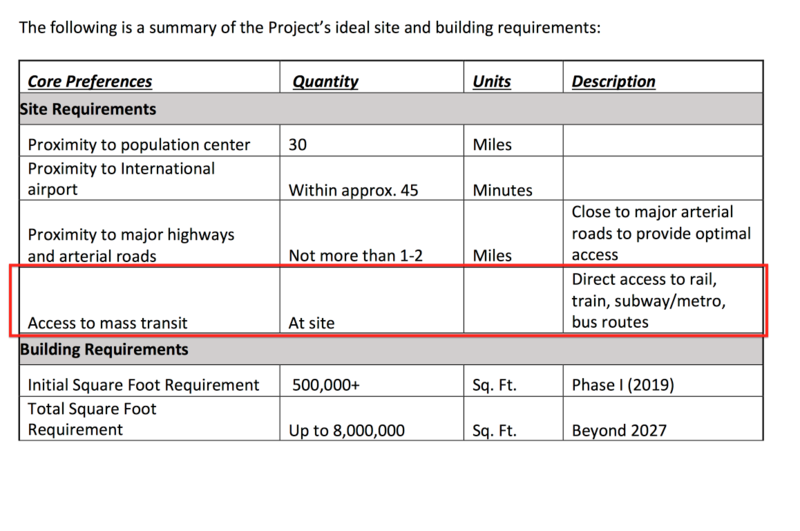 Leaving that red herring aside the CRL project will put stations within reach of most downtown locations. 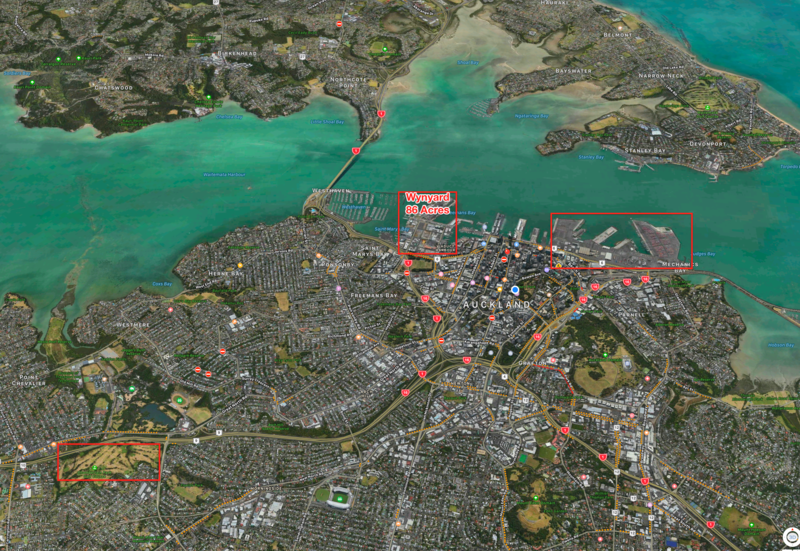 There are also plans for light rail to and beyond Wynyard Quarter, which would begin to be great if it also went across the harbour to the North Shore. If we can provide mass transit so that the airport is 30 minutes away from the city (as it is now by car at most times) then a lot more possibilities would open up. I have probably highlighted some areas that are absolutely not available, but the point is that there is a lot of land out there. There is plenty of public transport and liveability momentum, plans and ideas, and there seems to be enough space in Auckland. However Auckland is not yet able to credibly provide the combination of land and high quality public transport for a firm like Amazon. The implications are that we should continue to build our public transport and keep thinking about the value of the port space (and the cost of alternatives). Amazon invests heavily in sustainable buildings and renewable power. 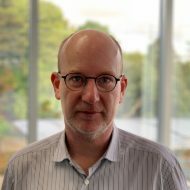 New Zealand does provide a very high percentage of renewable power from the grid, but, despite an excellent power framework, has some progress to make when it comes to managing private power supplies. A stable and business-friendly environment and tax structure will be high-priority considerations for the Project. Incentives offered by the state/province and local communities to offset initial capital outlay and ongoing operational costs will be significant factors in the decision-making process. While it may be hard for a NZ government to match US cities with incentives there is no arguing that our tax system is simple, and our business environment is very stable and amongst the world’s best. Identify incentive programs available for the Project at the state/province and local levels. Outline the type of incentive (i.e. land, site preparation, tax credits/exemptions, relocation grants, workforce grants, utility incentives/grants, permitting, and fee reductions) and the amount. The initial cost and ongoing cost of doing business are critical decision drivers. Incentives are so important that Amazon put them twice in the list. Again I can’t really see an NZ government falling over backwards in today’s economic or political environment. The scale of the deal is a bit too large, we fundamentally believe in fairness and finding jobs for high tech workers is the least of our problems. The Project must be sufficiently close to a significant population center, such that it can fill the 50,000 estimated jobs that will be required over multiple years. A highly educated labor pool is critical and a strong university system is required. Auckland gets a tick here, with 3 top universities present and as destination for graduates from every university in New Zealand. The jobs will be highly paid, so accomodation won’t be so much of an issue. The downside is that rents and house values would go even higher and the burden on those who cannot it. Personnel travel and logistics needs, both from population centers to the Project site, as well as between company facilities, are critically important. Amazon wants direct flights to Seattle, San Francisco as well as NYC and Washington DC. We can provide the first two at least, though they would be shocked at their down time between cities. Out national airline has requested Boeing, a company that decamped from Seattle for Chicago in 2001, and Airbus to develop planes that can fly directly to the other two cities. That might take some time. Amazon also want access to local highways to access other North American Amazon locations. We might suffer a bit on that paramter. The Project requires an expeditious timetable for the location decision and the commencement of construction. Given this, sites with the requisite access, utility infrastructure, and zoning are critical. Please outline the permitting process and estimated timetable to initiate Phase I of our operations. Amazon wants to get going quickly. Auckland has almost twenty cranes at the moment, and while we can probably expedite some of our regulations there should be no real barrier to a new build. Some US cities though would have large free spaces, for example Detroit with the remnants of the crippled motor vehicle industry. The work by Panuku and private developers in Wynyard and Britomart, along with the CRL and bike lanes show that Auckland can think big, although perhaps Amazon scale would be a level up again. Cultural Community Fit – The Project requires a compatible cultural and community environment for its long-term success. This includes the presence and support of a diverse population, excellent institutions of higher education, local government structure and elected officials eager and willing to work with the company, among other attributes. A stable and consistent business climate is important to Amazon. New Zealand is commonly in the top ranks of places to live, and for good reason. We have a very diverse population, the world’s best relationship between a country and its indigenous people and many efforts to bridge across cultures. We will always have more to do, but we crush the USA on this measure – not least because our police don’t shoot people. A stable business climate is critical to New Zealand, and we have been one of the top few easiest places to do business or many years. Meanwhile our local and national government systems make the USA’s look both corrupt and Byzantine. We want to invest in a community where our employees will enjoy living, recreational opportunities, educational opportunities, and an overall high quality of life. Tell us what is unique about your community. This is our greatest strength, where we take the ability to go to the coast, breathe fresh air and drink fresh water for granted. In Auckland we have a Council that, thanks to the Super City, is delivering strongly to increase liveability and workability. Yes we can argue that we have taken things a bit too much for granted when it comes to water, and there are people living on the streets which is unacceptable. But without getting too political there is cross-party support, and very strong efforts by some, to solve these issues. The UFB program is something the National government got absolutely right over there last 9 years, and we are blessed with fibre to the business and to many homes. However Amazon would need to buy a lot of capacity on existing sub sea cables, or probably even build their own. Sadly for the Port and Wynyard Quarter options the viability of those spaces is relatively limited over the next 50 years. With the current emissions on track to, as Schroders Bank reported, hit a 4.1 degrees rise by 2050, that land will be come unuseable, and certainly unsuitable for intensive development. 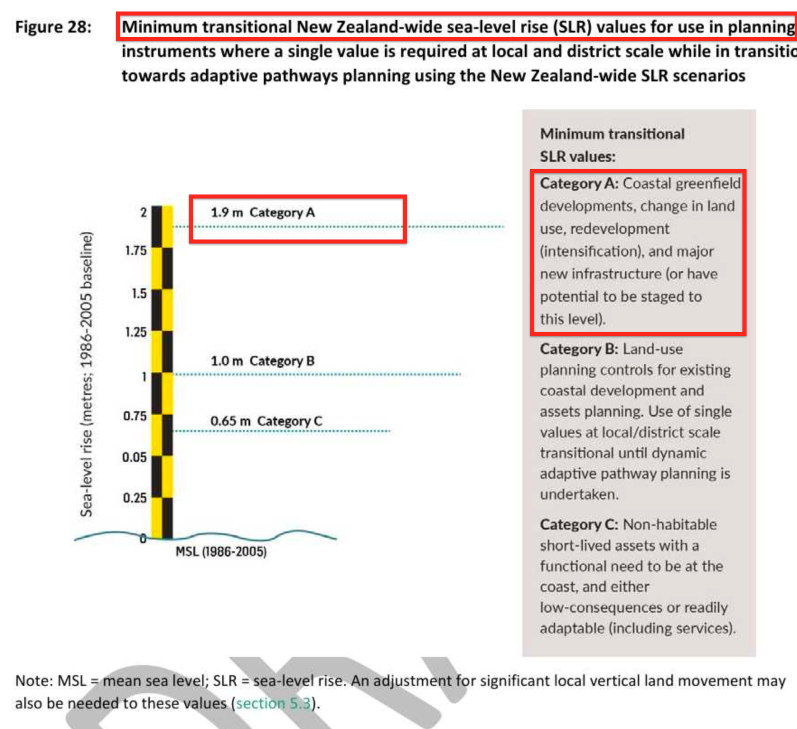 Perhaps that’s why the report stating that Councils should be assuming 1.9 meters for sea level rise was buried by the government earlier this year. Wynyard Quarter, as reclaimed land, is just 1.3 meters above high tide level. It’s a short document, but we can all learn from Amazon’s perspective, kickbacks aside, of what makes a great place to live and work. Auckland stands ready, distant location and lack of a decent train system aside, to offer Amazon a new home. >> Auckland stands ready, distant location and lack of a decent train system aside, to offer Amazon a new home. And the fact it’s not in North America, which might be more a hindrance than the lack of a decent train system ;) But I like the intellectual shake down of how we’d otherwise stack up.